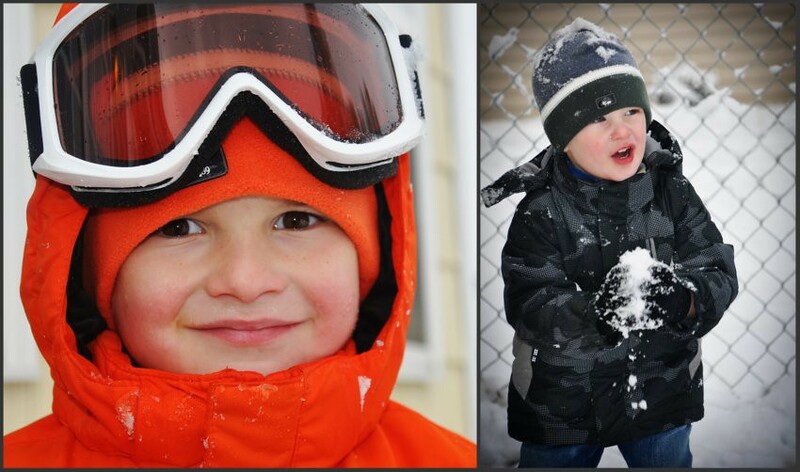 Albaeck (After) Army Adventure: day 275 (3): snow day!! 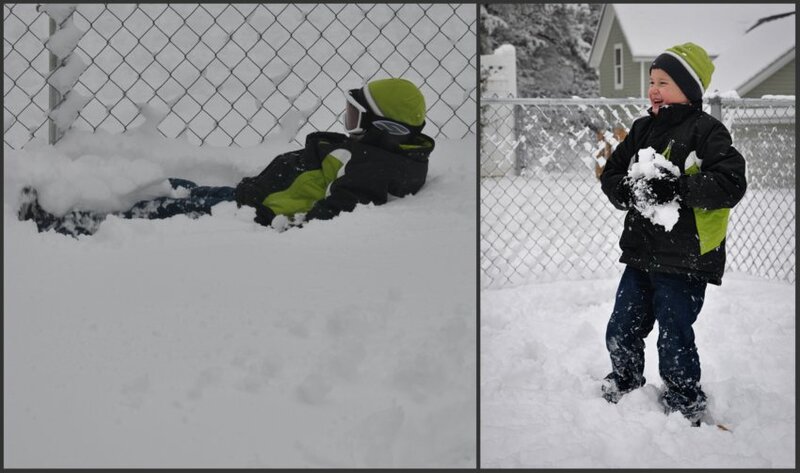 day 275 (3): snow day!! We weren't sure if we would get any of the snow from the blizzard that slammed the East Coast on Christmas weekend but we woke up to a beautiful, white Boxing Day! The kids were ecstatic and ran all around the house yelling about the snow. Jacob, Mom, Janne, and I braved the weather (which wasn't bad at all by CO standards) and headed for Target for our traditional after Christmas shopping. We stopped at Panera for breakfast on the way and were the ONLY ones there. Ever since Panera opened about a month ago the line has been out the door most of the times I've been there. It was strange to have the whole place to ourselves!! The staff even gave us a free pastry ring as a thank you for coming out! 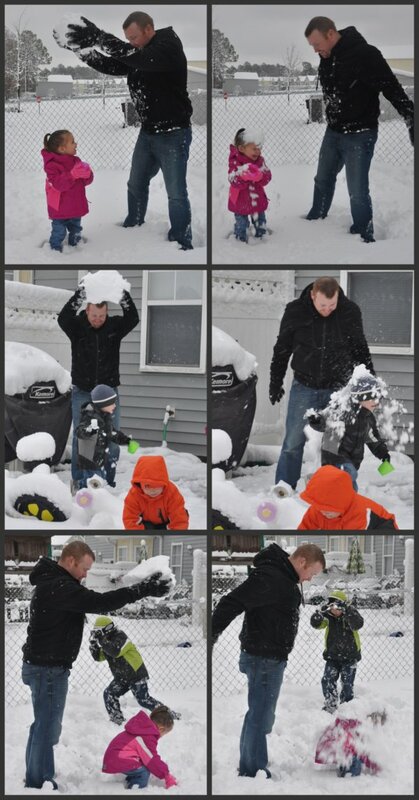 The kids had a great time playing with Grandpa and Uncle Adam while we shopped but by the time we got home they were getting antsy and wanted to go outside and play in the snow. We got everyone bundled up and headed out for some fun in the backyard! 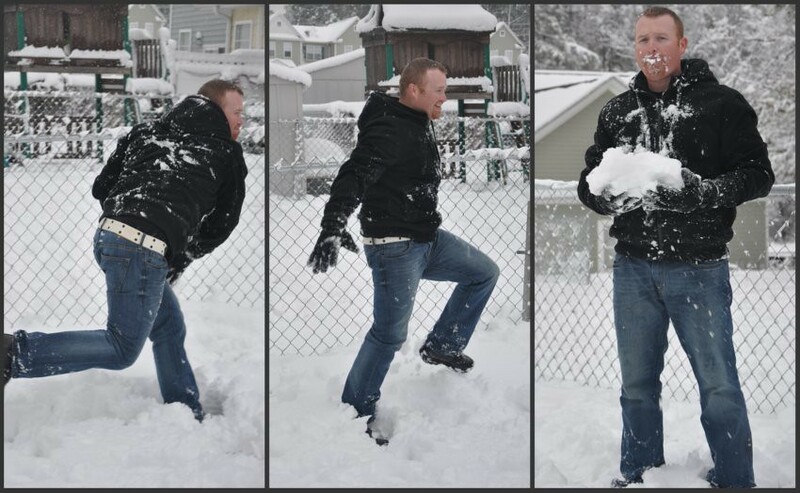 It's great having him home-- especially with all the snow. Can you tell that he misses the CO weather?? 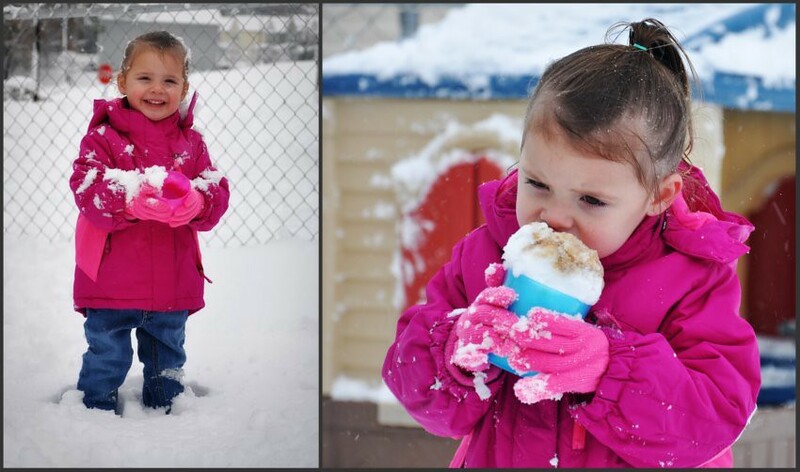 The snow princess enjoying a root beer snow cone. Christopher LOVES the snow and was so excited to go out and play in it. In fact, he stayed out longer than anyone! 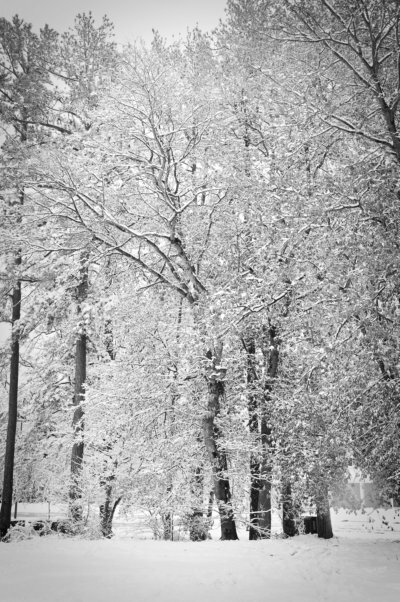 I love how peaceful everything looks when covered with snow. We enjoyed playing in the snow for an hour or so and then headed in to warm up. Everyone had a cup of apple cider and then finished the day playing inside. The snow stuck around for another day or so before melting completely.